Our installations are located in Nilsbyen Skianlegg, Byåsen, outside Trondheim. longitude : E 10° 19' 12"
latitude : N 63° 23' 16"
see map beside to locate our town in an interactive map. Our sensors are mounted over the roof, at 4m from ground (200 m from sea level). Installation is out of obstruction from trees and building; surrounding areas are mainly grass and nature. 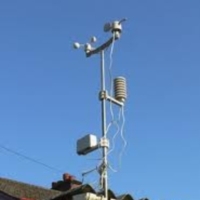 Hardware : Wireless outdoor sensors. Anenometer, Thermometer, Hygrometer, rain counter. 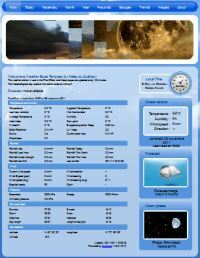 Weather template : Weather by You!